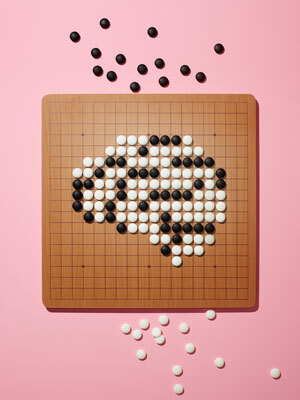 Human go players will undoubtedly find the graphic for “Go-bot, Go” annoying, but the article in the July issue of IEEE Spectrum is an excellent exploration of computer go-playing by Jonathan Schaeffer, Martin Müller and Akihiro Kishimoto, who developed Fuego, which in 2009 defeated a world-class human go player in a no-handicap game for the first time in history. In the online version, AIs Have Mastered Chess. Will Go Be Next?, the Schaffer, Muller and Kishimoto explain how “a know-nothing machine that based its decisions on random choices and statistics” triumphed.